Counterpath – Blind Date with Democracy: Experiments and Conversations on Gathering, Wednesday, August 17, 2016, 5-10p.m. In 2014, an “assembly of assemblies” at the conference “The Art of Being Many” was held in Hamburg, Germany, to share experiences in artistic experimentation and real democracy movements that explored new ways of coming together and discussing the desires and catastrophes of being many. 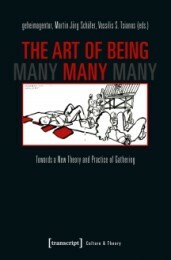 The “art of being many” is an ongoing research program into a new theory and practice of gathering, as well as a new book, The Art of Being Many: Toward a New Theory and Practice of Gathering, edited by Martin Jorg Schafer and Vassilis S. Tsianos. The conference is organized by Raphaela Posner. Counterpath is located at 7935 E. 14th Avenue in Denver, Colorado. This event is free and open to the public. We hope you’ll join us and be part of the many on August 17th! Chris Hansen earned his undergraduate degree in Engineering from Kansas State University, a Master of Science from MIT, and then a PhD in Economic Geography from Oxford University. He was a Research Fellow at the Oxford Institute for Energy Studies, and worked on solutions for bringing more renewable power to poor, rural areas of India. He has served on several boards and has volunteered with a variety of organizations, including the Denver Metro Chamber Leadership Foundation Board Executive Committee, the Colorado Energy Coalition as Co-Chair, the Central City Opera Board Executive Committee, Denver Kids Mentoring Program, and the UC-Denver Business School Advisory Board. He is the Colorado state representative elect for House District 6. Leslie Herod has worked in public service at the Colorado State Capitol under strong leaders such as former Speaker Andrew Romanoff, former Majority Leader Alice Madden, former House District 8 Representative Rosemary Marshall and Deputy Mayor Treasurer Cary Kennedy. She has also served as a Senior Policy Advisor to Governor Bill Ritter, Jr., specializing in social services, criminal justice, mental health, specific issues relating to senior citizens, and anti-poverty issues. She was also a Program Officer with the Gill Foundation where she led philanthropic initiatives focusing on LGBT equality and alliance-building in communities of color. She has served on multiple community boards and commissions, including serving as gubernatorial appointee to the state’s Judicial Performance Commission and as a mayoral appointee to Denver’s Cultural Affairs Commission. Additionally, Leslie serves on the Board of Directors for Urban Peak, Colorado’s leading homeless youth service agency. Leslie is also a co-founder of New Era Colorado, the state’s leading organization focused on the engagement of young people in our community, and served as President of Colorado Black Women for Political Action. Lisa M. Calderón is the Director of the Community Reentry Project, an initiative of the City of Denver’s Crime Prevention and Control Commission, where she supervises six staff who work on behalf of formerly incarcerated persons for their successful reintegration back into the community. She has taught in academia for over 15 years in the areas of Women’s Studies, Sociology, and Criminal Justice. She holds a Master’s degree, a law degree, and is currently working on her doctorate in education. As an active community member, Lisa is involved with several community-based initiatives including as Co-Chair of the Colorado Latino Forum Denver Chapter to create more opportunities for marginalized women, low-income communities, youth of color, and justice system involved persons. Her opinions on criminal justice reform are frequently cited in the media, and she has won several awards for inspirational leadership. Founded in 1979, Swallow Hill Music began as an outgrowth of the Denver Folklore Center, a music store in Denver’s Swallow Hill neighborhood that offered music lessons and performances to the community in the 1960s and 1970s. When the Folklore Center closed temporarily in the late 1970s, a group of committed volunteers formed Swallow Hill Music as a nonprofit organization whose mission is “to build community by connecting people to diverse music traditions on the stage and in the classroom.” From these humble beginnings, they have grown to become a cultural asset and distinct thread in Colorado’s musical fabric. Swallow Hill Music’s Instrument Petting zoo gives participants the chance to try their hand at ukuleles, drums, banjos, mini pianos and a menagerie of other instruments. Traveling around Colorado for the past three years, the Instrument Petting Zoo has brought music to more than 10,000 people. The instrument petting zookeepers will be bringing their instruments to “Blind Date with Democracy” for participants to experiment with sound as a way to build collective voice. More information on Swallow Hill Music and the Instrument Petting Zoo. Nancy Kuhl is the co-editor of Phylum Press and Associate Curator of Poetry for the Yale Collection of American Literature at the Beinecke Rare Book and Manuscript Library at Yale University. Kuhl is the author of three full-length poetry collections: Pine to Sound (2015), Suspend (2010), and The Wide of the Left Hnd (2007). Kuhl’s Room 26 Discrete Notions Exhibition Series uses postcards as a medium with which to document, observe, and critique cultural phenomena. 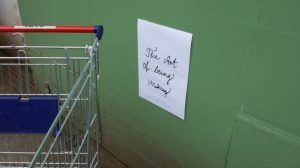 The series began in the spring of 2004 and Kuhl has continued to work as curator, bringing in guest curators, artists, and advisors throughout the project. Fletcher Graham bio to come! On the Black Actors Guild: “Started in 2009 by five African-American students from Denver, CO, the Black Actors Guild is now a multicultural and diverse group of artists with the vision of crating original, engaging content. Our artists are professionals who spend their days making art that provides a one of a kind experience in the realms of education and production.” The Black Actors Guild will be bringing their curriculum to Blind Date with Democracy to explore the ways in which performance can connect audiences and actors to engage the social and political. More information on classes and events offered by the Black Actor’s Guild.